Save 15 - 20% on all your wine purchases by joining the FLV Wine Club! As a member enjoy free tastings or glasses of wine at all of our locations! AWGA Growers Cup Award & Gold Medal! Southeastern Arizona’s warm climate and long growing season produce powerfully concentrated Petit Verdot vintages like no other growing region in the world. This rare dessert wine of Petit Verdot is produced from late harvested fruit following an extraordinarily warm summer in October of 2014. Blended with pure grape spirit, Flying Leap's Gold Medal and Grower's Cup winning wine was matured in Hungarian and French Oak barriques for 18 months, resulting in a tawny dessert wine with a smooth, rich texture and distinctive notes of raisin, dark chocolate, black current and orange peel. Pairs beautifully with sharp, bold cheeses and chocolate desserts such as truffles and German chocolate cake. Login to your Wineclub Account for Member Pricing - Cheers! Solo is a fortified dessert wine produced exclusively from late-season Grenache Noir grapes which we harvest each fall from our Block 1 vineyard in Cochise County, Arizona. This award-winning wine is delightfully sweet, with flavors of juicy raspberries, cherries and hints of cinnamon and caramel. Perfect with chocolate truffles! For this bold blend our winemakers have creatively used open-top fermentation, 14-month oak aging and blending to tame the potent tannins of our robust Tannat wines. The fruit was hand-harvested at a very low yield of just 4 tons to the acre from our Blocks 1 and 2 vineyards in southeastern Arizona. We used our smooth, rich Petit Verdot as the blending component to open the wine up and make it more approachable. The result is as amazing as it is delicious and age-worthy—a full-bodied red wine with powerful, concentrated dark fruit and unmistakable notes of blackberry, smoke and red licorice. The nose has hints of root beer, violets and raspberry jam stewing on the stove. We recommend decanting this beautiful 50/50 blend and serving cool with grilled meats and bold cheeses. In 2015 we produced our first Cabernet Franc varietal wine from a small half-acre section situated on the flank of our Block 2 vineyard in the Kansas Settlement area south of Willcox, Arizona. The fruit was hand-picked over two days in early September and the wine aged in French oak barriques for 18 months, giving it a pleasing, round mouthfeel and spiced expressions of dark plum, strawberry, leather and hardwood smoke. Flying Leap's varietal of this classic Bordeaux winegrape is medium-bodied with moderate alcohol and it will pair nicely with a chicken liver pâté, stewed lentils or soft goat cheeses. Flying Leap grows a single acre of Cabernet Sauvignon at our estate vineyard in Elgin, Arizona about 50 miles south of metro Tucson in the high rolling hill country of the Sonoita AVA. Situated at 5,000 feet, the vine yields are very low, producing small, tightly-clustered berries with dense, dark and highly concentrated juice at crushing. Open top fermented in small batches outdoors, the wine is uniquely delicious, elegant, aromatic and well-balanced with layers of clove, black cherry, currant and grapefruit. 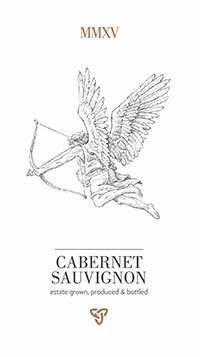 Our Cabernet Sauvignon is aged 14 months in premium, medium toasted French oak barriques, which impart the smooth essence of leather, sweet oak, grapefruit and caramel to the wine, with delightful smoky hints of white pepper. This exquisite, age-worthy wine is very limited in its production; rare indeed, it exemplifies the core essence of our unique southern Arizona terroir and microclimate. Luscious Marsanne & Grenache Blanc Blend! We hand-pick Grenache Blanc at a lower sugar level to preserve its acidity and complex aromas of citrus and fresh-cut herbs which pair beautifully with the ripened peach and spiced pear essence of Marsanne. Marsanne provides powerful body to the blend, with moderate alcohol and nutty flavors of spiced pears and dried apricots. Blending these wines produces a lovely marriage of body, flavor, acidity and aroma, making Escape a unique and wonderfully rich and complex white wine with distinctive character. Serve well-chilled with fresh fruit and mild cheeses. Flying Leap was founded in 2010 by three former military officers. Air Force pilots, combat-wounded patriots and lifelong best friends since their late teenage years as young cadets at the US Air Force Academy. Mark Beres, Marc Moeller and Tom Kitchens performed a tactical rejoin in retirement to forge one of the most successful farm winery and craft distilling companies in the American southwest. 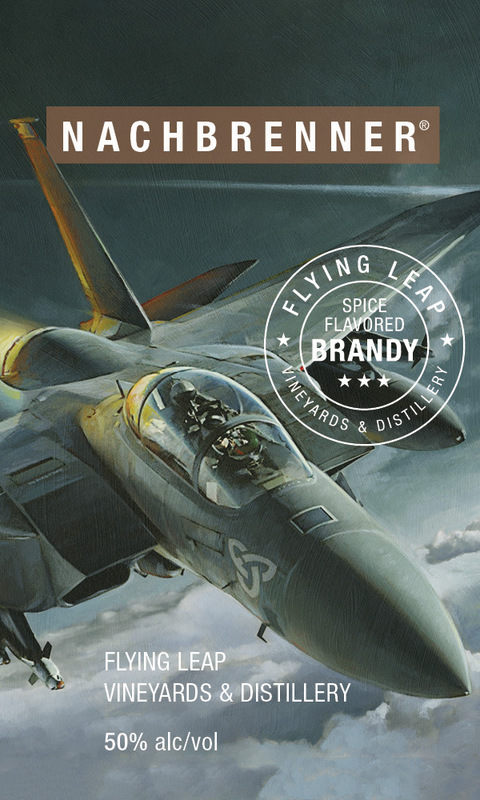 Learn about their amazing journey from the cockpit to the wine and spirits business by watching the Emmy-award winning video "Veterans in the Vineyard" on Flying Leap's website. In 2015, the United Nations Educational, Scientific and Cultural Organization designated Tucson as the first International City of Gastronomy in the US. UNESCO recognized the Old Pueblo as one of the oldest settlements in North America with over 4,000 years of distinctive agricultural history. 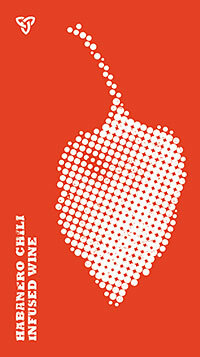 To celebrate this historic global recognition of the uniqueness of our southwestern culture & cuisine, Flying Leap has infused hand selected barrels of our 2015 Grenache with locally grown Habanero peppers to create a spicy, distinctively flavorful and uniquely southwestern red wine. Gold Medal Winner and Best in AZ! Among our most distinctive wines with an unmistakably unique, terroir-expressive signature of black tea & citrus, Flying Leap Mourvèdre wine is prized for its garnet, ruby color and alluring gamey essence of hay & Provencal herbs. Medium-bodied with notes of bright plum and apricot, our Mourvèdre also hints at a unique grapefruit character. Enjoy with roasted lamb, grilled autumn vegetables or mild cheeses. Flying Leap grows Petit Verdot at its Block 1 vineyard in southeastern Arizona. The vines are situated at 4,300 feet on the western fall of the ancient Dos Cabezas volcano near Willcox. Petit Verdot is indigenous to France’s Bordeaux region, where it is prized for its inky dark color and spicy strength it adds to blends. According to the recent data published by the USDA, there are just six acres of Petit Verdot planted in Arizona, and Flying Leap farms three of them. This makes Petit Verdot a distinctive grape for Flying Leap, and very rare as a 100% varietal wine. This 2015 varietal of Petit Verdot is deeply plum-colored, with powerfully concentrated fruit and bold, chewy tannins. Aged 16 months in premium French oak barriques, the wine expresses notes of freshly picked blackberries, vanilla and plum. Flying Leap grows Sangiovese in our Block 1 vineyard in the Willcox AVA of southeastern Arizona. 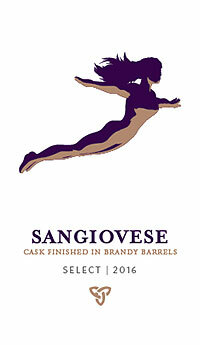 In 2015, we co-fermented our hand-picked Sangiovese with a small amount of Viognier fruit, producing a more fragrant must, bigger alcohol and a uniquely flavorful red wine. Aged 12 months in French oak barriques, our Reserva expresses flavors of cherries, hazelnuts and plums, with floral notes on the nose and a lingering smoky essence of oak embers. 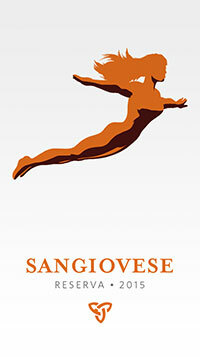 Our Sangiovese pairs nicely with your favorite Italian dish. Cheers! Our Scavenger Blend is Back! Scavenger celebrates the completion of blending and bottling our last precious remaining barrels after the annual wine-making season. 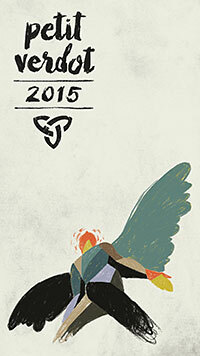 Always unique and ever an artistic creation, our annual Scavenger blend represents the playful, wilder side of Flying Leap. This time Scavenger brings together Tannat, Mourvèdre and Grenache wines to produce an amazingly plush, fruit-forward beauty with distinctive notes of tobacco and violets. With a dark, rich sapphire sparkle and lingering clove spiced finish, our 2015 Scavenger is rich and full-bodied with flavors of licorice and juicy boysenberry. Pair with spit-roasted meats, rare Ahi tuna, or any hearty, cream based soup. Little known in the United States, Graciano is rarely grown outside of Spain, its indigenous home. Spanish winemakers prize Graciano for its intense dark color and strong fruit aroma, which make it ideal for hearty blends. 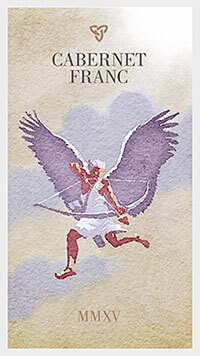 Flying Leap selected Graciano in an effort to focus on growing hot-weather, late blooming varietals to ease the burden of our predictable late Spring frosts on more sensitive varietals, such as Sangiovese and Syrah. Additionally, Graciano is traditionally blended with Grenache to produce some of the most beloved wines from the Rioja in northern Spain, and its dark color helps enhance the appearance and presentation of Grenache wine, which is paler. Flying Leap grows a small, half-acre parcel of Graciano at our Block 1 vineyard in southeastern Arizona, where it produces nice yields in the warm, dry microclimate and calcareous, rocky soils. 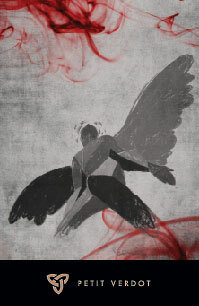 In Spanish Fly, our winemakers have combined Graciano in equal proportion with Grenache, creating a powerful, fruitforward blend of moderate tannins, deep color and intense perfume. 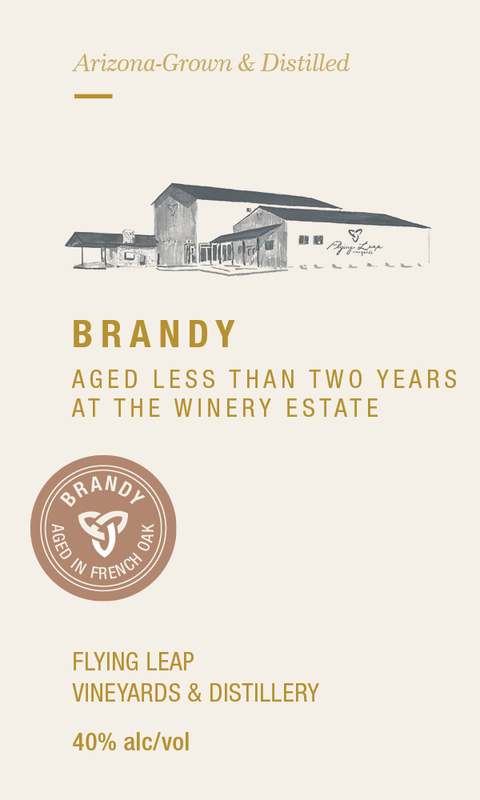 The wine has distinct aromas of mulberry, violets and chocolate, and its aging in French oak barriques for 12 months imparts hints of vanilla and sweet baking spices. 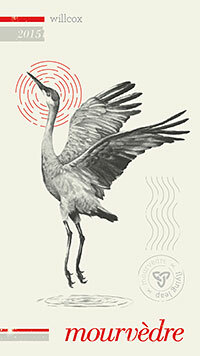 The name connotes a seductive combination of traditional Spanish wines, Grenache & Graciano, produced by Flying Leap. 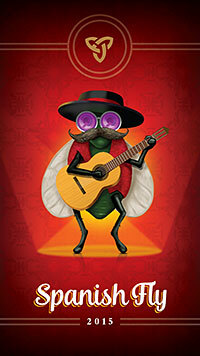 Spanish Fly is one of our most popular annual blends, and the cheerful guitar-playing fly was conceived of and sketched on the back of a bar napkin at a pub in West Seattle in 2013. Though we’ve refined the colorful character adorning the label of this delightful blend, the wine remains an annual tradition at Flying Leap. Tannat is demonstrating tremendous results in Arizona soils. Flying Leap’s Tannat is grown at our Block 2 vineyard near Willcox. This 2015 100% varietal of Tannat was produced from the second harvest of our Block 2 vineyard in late August 2015. Planted in April 2012, our Tannat took strongly to southeastern Arizona’s dry, arid climate, producing small, deeply dark-skinned berries. Hand-harvested at an ideal yield of just 2 tons per acre, the finished wine was aged in Hungarian oak puncheons for 16 months, producing a distinctive, full-bodied wine with pronounced aromas of vanilla, smoke, plum and a wonderfully spicy blackberry finish. With velvety smooth tannins, this wine drinks beautifully young, but will improve significantly with 3-5 years of cellar aging. Serve with roasted game meats, spicy sausages and bold cheeses. In 2012, we planted a small block of Picpoul Blanc in our Block 2 vineyard in southeastern Arizona. A vine indigenous to the Languedoc region of southern France, Picpoul took wonderfully to our dry, arid climate and calcareous soils. Originally envisioned by our team as a minor blending component to add acidity to our whites, we found that as these vines aged, our Picpoul wines developed a tropical lushness and rich finish worthy of a more pronounced position in our white wine portfolio. In Fly Girl, we’ve combined Picpoul with our Grenache Blanc and Viognier wines in nearly equal proportion, creating a refreshingly crisp white blend with bright, well-balanced acidity, a distinctive lemony zest and bold, lingering flavor of juicy pineapple. The flavorful acidity of Fly Girl pairs well with stronger-flavored, rich seafood, such as grilled salmon, scallops, fresh oysters and clams, as well as any cream-based soup. Our 2016 Graciano is the first single vineyard varietal of Graciano we’ve ever produced from our southeastern Arizona growing site. An extraordinarily rare wine, Graciano is indigenous to northern Spain where it was once vitally important to the viticulture in Rioja. The vines thrive in Arizona’s heat, benefitting from a late spring bloom and extended hang time well into mid-September in the fall. The vines produce deeply colored clusters of considerable weight, and the wine, aged 20 months in French oak barriques, has intense black fruit notes, with lush red cherries and plum and will age wonderfully for many years. 100% Arizona Dessert Wine - Unique and Rarel! 2016 was an important year for Flying Leap, as it was the inaugural year of our new distillery in Elgin. To celebrate, our winemakers used fresh grape spirit distilled from our Grenache to fortify this small lot of late harvested Petit Verdot. 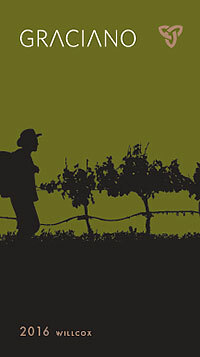 The effort produced an extraordinarily unique and rare dessert wine - vinified and fortified from winegrapes harvested and distilled from Flying Leap’s own vineyards in southeastern Arizona. Aged 24 months in French oak barriques at our winery estate, our Petit Verdot Dessert Wine is as wonderfully decadent as it is delicious, with a distinctive nose of violets and intensely concentrated flavors of ripe blackberry. Notes of cinnamon and dark caramel round out a beautiful finish. Pair with semi-sweet dark chocolate or bold, intensely-flavored cheeses such as Blue or Stilton. Brandy Cask Finished - AWGA Silver Medal! Arguably among the most unique wines we’ve ever produced, Select is a single-vineyard varietal of Sangiovese wine aged for 18 months in barrels seasoned with Grenache brandy. The French oak barriques were filled with brandy at our distillery, where they rested for six months in our barrelhouse prior to being emptied and repurposed to the winery to age Select. The wine is medium-bodied, rustic in character and has beautiful aromas of butterscotch and cedar, with ripe cherry flavor and notes of Provençal herbs. Select pairs well with roasted poultry, grilled steak and hard cheeses such as Parmesan and Romano. Like the classical music trio of piano, violin and cello, this annual signature white blend brings together a wonderful balance of harmonies to the palate. We grow all of our white grape varietals at our Block 2 vineyard in the Kansas Settlement region in southeastern Arizona. Trio consists of primarily Malvasia Bianca - a Venetian white grape bringing sensuous aromas of Elderflower and White Currant to the blend. Among our region’s rarest wine grapes, Picpoul’s bright acidity, citrus and long spicy finish leave the memories of the violin long after the final note. Finally, Grenache Blanc - like the cello, provides apricot notes with wonderful body and structure. Serve lightly chilled and enjoy with fresh oysters, seared scallops or any cream-based soup, such as asparagus, caramelized onion or butternut squash. Flying Leap’s Union is produced in the grand tradition of old Bordeaux, bringing together a richly flavored blend of our estate-grown Cabernet Sauvignon, rounded out with Cabernet Franc and Petit Verdot from our southeastern Arizona vineyard sites. Aged 18 months in new French oak prior to blending, Union is soft, silky and elegant with notes of cassis, blackberry, dark cherry, spice and licorice. 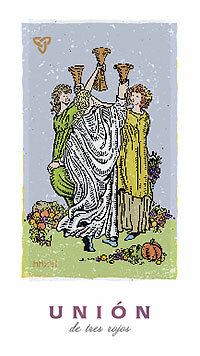 The wine is well-balanced and will benefit from extended cellaring. Duet is Back and Better than Ever! A distinctive “Orange-style wine,” Duet was produced from Viognier & Grenache Blanc wine grapes grown at our Block 2 vineyard in southeastern Arizona in the Fall of 2017. 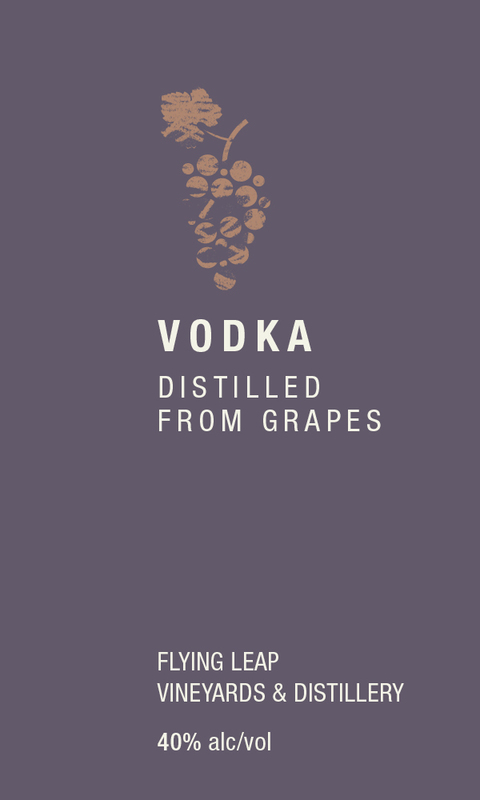 It was made by cold-fermenting the complete must/juice, skins and pips, together for 30 days, giving the wine a unique amber/orange hue. Duet was very lightly pressed and finished in chilled steel tanks. Though made from white wine grapes, it drinks more like a medium-bodied red wine, with a rich, creamy mouthfeel and distinct tannin. 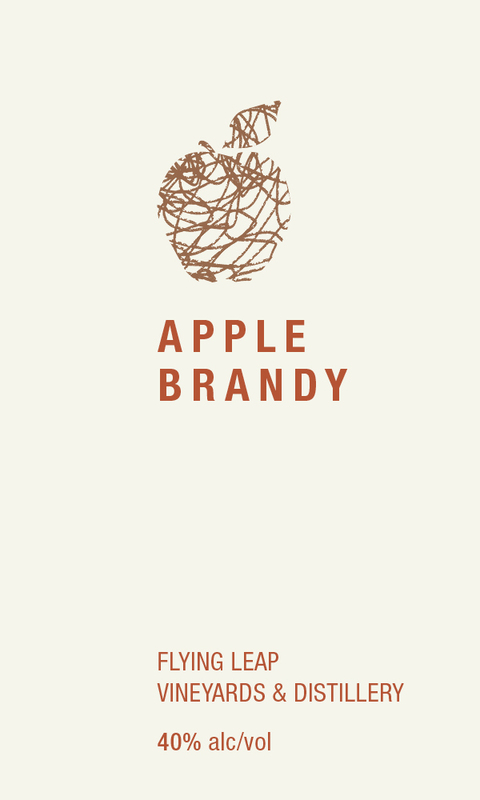 On the palate, we get bold fruit with wonderful hints of wood varnish, sourdough bread and grilled pineapple. Serve cool with Indian or Thai spicy dishes such as yellow & green curries. We source Picpoul from our Block 2 vineyard in Willcox, Arizona. A vine indigenous to the Languedoc region of France, Picpoul took wonderfully to our dry, arid climate. Originally envisioned as a minor component to add acidity to our white blends, we found that as these vines aged, our Picpoul wines developed a tropical lushness and rich finish worthy of a more pronounced position in our white wine portfolio. 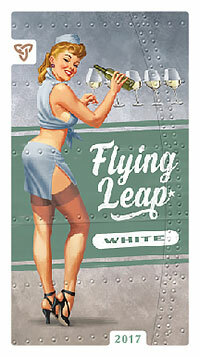 In Flying Leap White, we’ve combined Picpoul with Grenache Blanc and Viognier, resulting in a beautiful, crisp, well balanced wine. Our winemakers produced this beautiful rosé wine from hand-harvested Grenache winegrapes we picked from our Block 1 vineyard in southeastern Arizona. 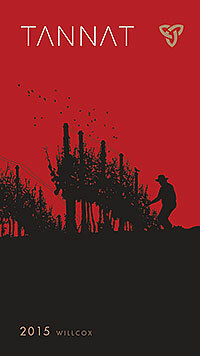 Flying Leap grows four different kinds of Grenache—all French, and La Flor was produced from the Tablas Creek ‘D’ clone using the skin contact method of crushing the fruit, chilling the must then soaking the juice and skins together for several days to derive the wine’s watermelon color. Our 2017 rosé has a seductively floral nose with notes of fresh strawberry. 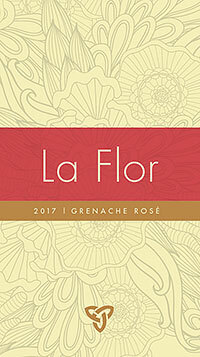 Medium bodied, La Flor’s creamy mouthfeel is accentuated with citrus notes of pink grapefruit and bright, refreshing flavors of strawberry jam and fruit-spiked cotton candy on the finish. 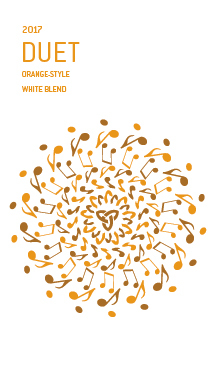 AWGA Silver Medal - Best White Blend! 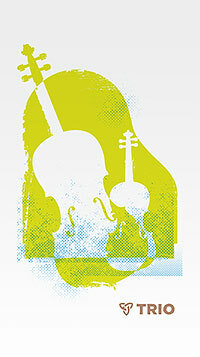 Like a classical trio of piano, violin and cello, Trio brings together three components to create a balanced experience. The wine grapes were harvested from our Block 2 vineyard, which is located in the Kansas Settlement region of southeastern Arizona. Our 2017 Trio blend consists of Malvasia Bianca—a Venetian varietal with unmistakable floral notes of Elderflower and rich apricot flavor. Among our region’s rarest wine grapes, Picpoul adds natural acidity and brightness to the finish, much like a violin’s high notes accentuate the trio’s mood and melody. 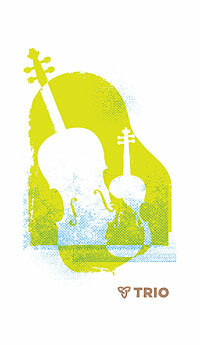 Finally, Grenache Blanc — our workhorse, like the cello provides Trio's structure and body. Serve lightly chilled and enjoy with fresh oysters, seared scallops or any cream-based soup. Arizona Rub Apron - Real Men Rub Their Meat! Here’s an apron for unabashed grill enthusiasts who know it’s all about the BBQ. 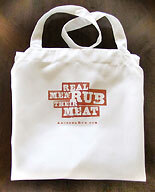 White apron emblazoned with our exclusive and humorous “Real Men Rub Their Meat” graphic. Durable commercial-quality spun polyester with soil release finish that looks, feels and breathes like cotton. One size fits most. Washing instructions included. Need a perfect gift for your favorite griller? 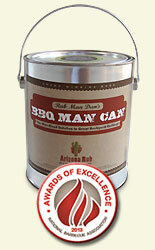 Rub Man Dan’s new BBQ Man Can is it. 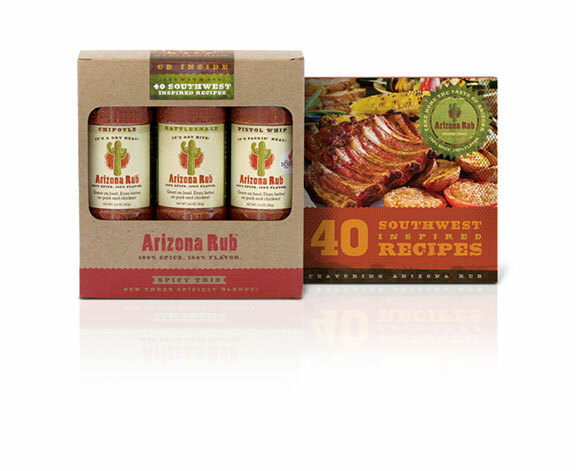 Filled with one each of our six rub blends plus our Chimichurri Marinade Mix, Roasted Garlic Hamburger Seasoning and an Arizona Rub “Real Men…” BBQ apron, it’s the man-sized solution to great backyard grilling and creative gift giving. Packaged in a 1-gallon paint can, it’s the gift that is sure to be remembered. 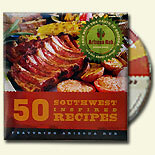 With 50 southwest-inspired recipes developed especially for use with Arizona Rub, this CD makes a great gift or addition to your recipe collection. 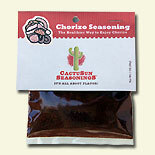 It also includes information about Arizona Rub and how to use it to get the best results. Bon appétit! Try All Six and Save! 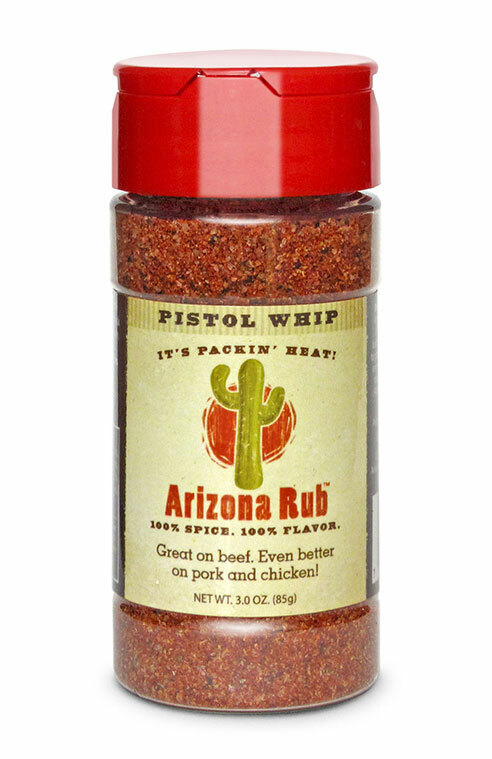 Arizona Rub T-Shirt - Real Men Rub Their Meat! Real BBQ enthusiasts know where flavor comes from and they’re not afraid to tell the world about it! 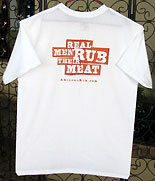 White t-shirts are imprinted with our exclusive and humorous “Real Men Rub Their Meat” graphic on the back and an Arizona Rub logo on the front in the left pocket area. Hanes ComfortSoft® TAGLESS® Crewneck t-shirt is 100% cotton. 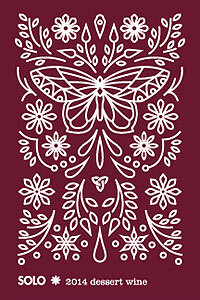 Available in 3 sizes (L, XL, XXL). Washing instructions included. Blackening is rooted in Cajun cooking and gives fish a flavorful dark crust on the outside while keeping it tender and moist on the inside. 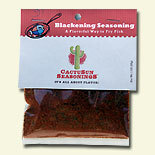 This is a flavorful seasoning with just a bit on heat to it. Use it on Talapia loins, cod or your favorite fish. Complete blackening instructions included on the label. Boot Hill Chili Gourmet Seasoning Mix (Hot) - It's to Die For! Great chili takes time, flavorful seasoning and quality ingredients. 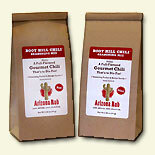 With Arizona Rub’s Boot Hill Chili, you’ll get the seasoning you need—made with four different chili powders—to cook up a big pot of full-flavored chili. Just follow the included recipe using quality ingredients and you’ll have some of the best chili you’ve ever tasted!Available in Mild and Hot. Serves 8. Boot Hill Chili Gourmet Seasoning Mix (Mild) - It's to Die For! Carne Asada is a southwest favorite. With citrus overtones and lots of flavor it’s an ideal marinade for flap meat, skirt steak and flank steak. Eat it as is off the grill or better yet make some scrumptious burritos with rice and salsa. Better get a three pack! 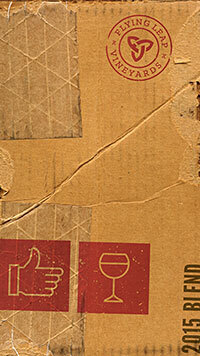 Complete recipe included on the package. 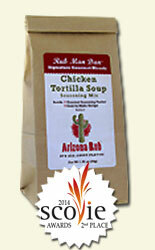 Chicken tortilla soup is one of the most popular of all soups because it blends all the great flavors of the southwest — flavors that have been captured in Arizona Rub’s Gourmet Chicken Tortilla Soup Seasoning Mix. Making it is easy. Simply follow the enclosed recipe using quality ingredients and you’ll have some of the best Chicken Tortilla Soup you’ve ever tasted! No MSG, no glutens and no soy. Easily serves four.Mild/no heat. Chili Lime - Let the Fiesta Begin! 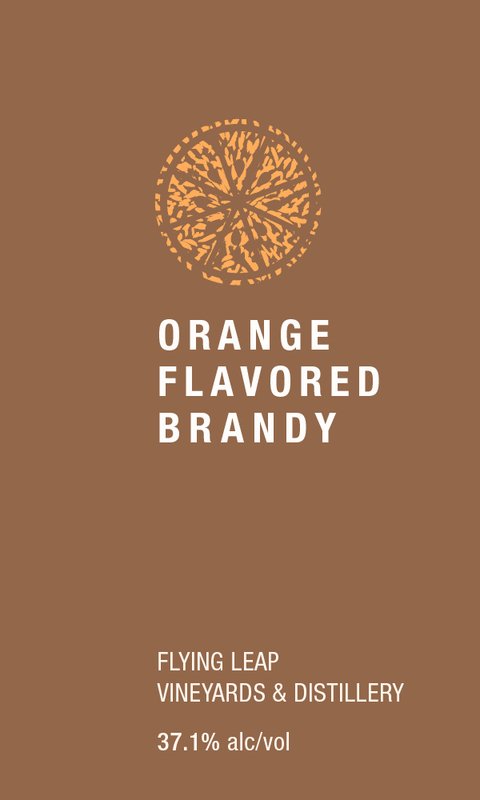 This flavor favorite guarantees a good time. With a distinctive taste of lime plus three different chilies, it adds fantastic flavor to fish, chicken and seafood. 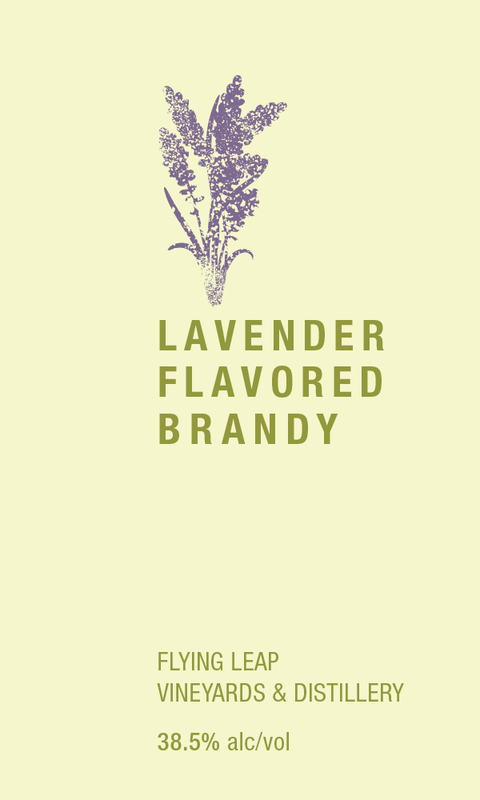 Made with only the highest quality spices including pure sea salt, it’s also excellent on vegetables such as roasted corn and can be used to add fun and flavor to melted butter, sour cream and mayonnaise. Chili Verde or “Green Chili” is a signature dish of the American southwest. 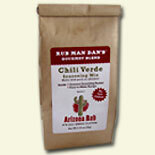 Now, with Arizona Rub’s Gourmet Chili Verde Seasoning Mix, great Chili Verde is simple to make. Just follow the enclosed easy-to-make recipe using quality ingredients, and you’ll have some of the best Chili Verde you’ve ever tasted! No MSG, no glutens and no soy. Easily serves four.Mild/no heat. If you’ve never had Chimichurri, you’re missing out. Generally believed to have originated in Argentina, it’s a marinade made from ingredients such as parsley, garlic, salt, olive oil and red wine vinegar. Easy to make and ever so flavorful, it’s a great marinade for beef, chicken or whatever you’ve got on the grill. It also makes a very good dipping sauce. Chipotle - It's Smokin' Good! For those who like it just a little spicy, Arizona Chipotle Rub adds the unique flavor and subtle heat of smoke-dried jalapeno peppers. 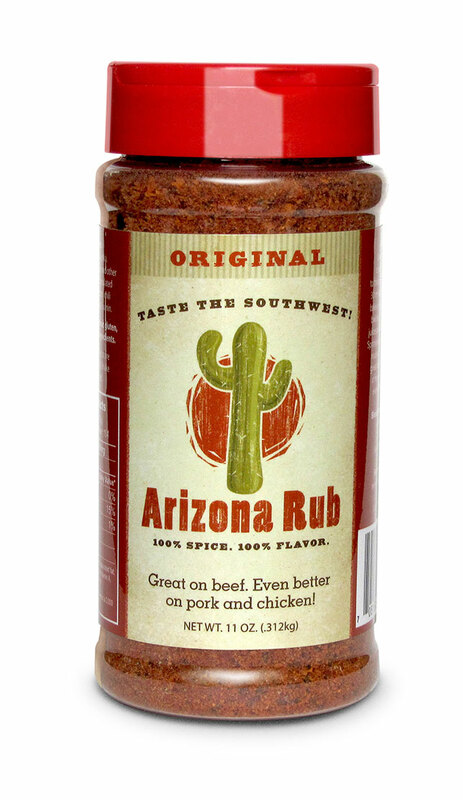 Perfect for steaks, chops, chicken, roasts, salmon, and grilled vegetables, Arizona Rubs are all natural and made with only the highest quality spices including pure sea salt. Do you love the flavor of chorizo? Then why buy that fat-filled mystery meat they call chorizo from the store when you can make your own using pure ground meats? 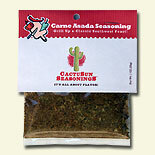 Add a package of Arizona Rub Chorizo Seasoning to one pound of lean ground beef, ground pork (our favorite) or ground turkey. Make an excellent breakfast sausage or use in recipes that call for the great flavor of chorizo. Either way it’s a winner. Desert Inferno (11 oz.) - Light Your Fire! 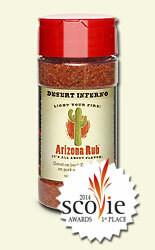 Looking for a fiery dry rub with a superb burn that also has great flavor? Desert Inferno delivers on both—big time. It has the searing heat of ghost peppers along with a heavenly flavor profile you’ll want to use on just about everything. It burns like hell. Tastes like heaven. And guaranteed to light your fire! Desert Inferno (2.7 oz.) 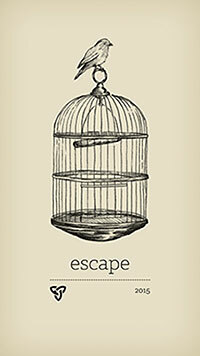 - Light Your Fire! 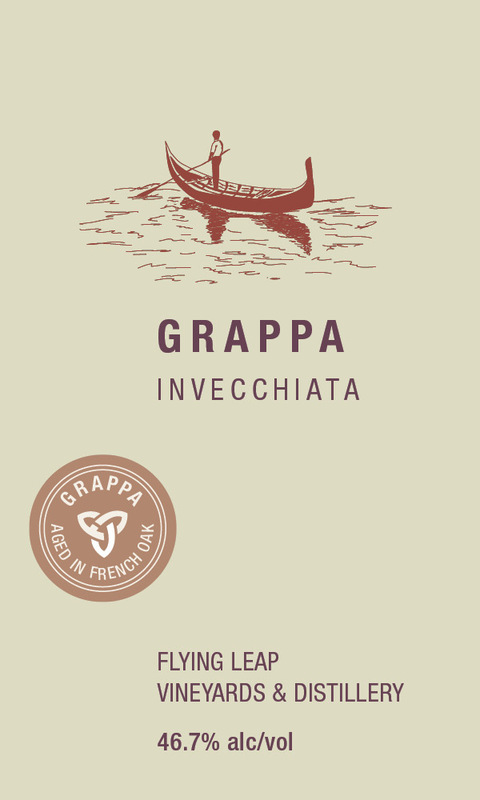 Flying Leap Grappa is a delicious spirit distilled from wine grape pomace, a sugar-rich mixture of grape skins, pulp, seeds and stems left over after pressing our white wine grapes each fall. Our pomace contains a seasonal blend of Viognier, Malvasia Bianca, Grenache Blanc, Picpoul, Ugni Blanc & Marsanne skins, which are co-fermented then distilled into pure grappa. Flying Leap ages and mellows our grappa in French oak barriques for a minimum of 18 months, which develops a smoother sipping spirit, with concentrated grape aroma and distinctive notes of ginger, caramel and baking spices. Sip neat as an after-dinner digestive, or enjoy in a shot of espresso for an Italian-style treat. Want to give your burgers a little kick? 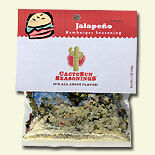 Then add a package of our Jalapeño Burger Seasoning to a pound and half of good quality ground beef. Now there’s no reason to eat ordinary burgers when you can spice things up a bit. Dine Under a Blanket of Stars! Experience an Authentic Cajun Feast and Bayou Folk Band and Enjoy Flying Leap Wines & Distilled Spirits! The centerpiece of our spectacular feast, "s'il vous plaît," is hand-prepared Jambalaya loaded with specially prepared Cajun meats including real hardwood-smoked Andouille sausage, fresh vegetables, long-grained rice and spicy Creole seasonings stewed in a savory broth. It'll be cooked outdoors in a huge deep-dish pan suspended over a crackling, open pit fire by our team of chefs. Don't worry: We'll give you freshly-baked, Barrio Bread French baguettes to soak up every drop of the spicy Creole flavor. Our evening festivities begin with a mouth-watering spread of appetizers to enjoy just as the music performance kicks off. This event is an Arizona wine country spectacular designed to bring the flavors, music, ambiance and distinctive culture of the Louisiana Bayou to our customers. You'll also enjoy up to six (6) tasting pours (1oz) of Flying Leap's premium red and white wine, as well as a delicious spread of sweet Louisiana desserts including rum-soaked Banana’s Foster cookie bars. Three remarkably accomplished young musicians come together in T’Monde, the Acadian phenomenon that Offbeat Magazine has called “a creative fusion of classic country and out-of-the-way Cajun.” With a combined 10 GRAMMY nominations between members Drew Simon, Megan Brown, and Kelli Jones, T’Monde brings influences ranging from early Country music to ancient French and Creole ballads to present day Cajun music. Born out of friendship and a shared love for the music, T’Monde has developed a unique sound that is unmatched in Cajun music today. 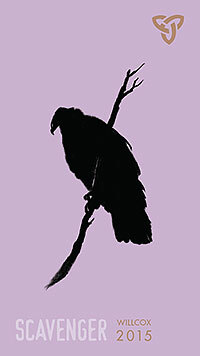 TRUST shows original fine art in multiple locations throughout southern Arizona, with a focus on work by local artists. They feature one-of-a-kind artworks in a variety of media including oil, acrylic, watercolor, encaustic, mixed-media, and metal. See a sampling of our extensive collection at Flying Leap’s Jambalaya Feast, curated by husband & wife gallerists Tom & Kim Johnson. Come hungry! Come thirsty! Come and Feast Under the Stars. Riders Up! You’re invited to our Kentucky Derby Party on May 4, 2019 to celebrate the release of Flying Leap’s first barrel-aged Bourbon. Come enjoy the “most exciting two minutes in sports” while you sip on Mint Juleps and enjoy live Blue Grass music brought to you by Cadillac Mountain Bluegrass. Ladies don’t forget your hats! We will be broadcasting all the Derby action live in our Event Ballroom. Guests will enjoy a BBQ meal, wine, Mint Juleps made with our very first barrel-aged Bourbon and delicious Mint Julep Shortbread Cookies and Bourbon Balls for dessert. Luau at Flying Leap Vineyards! Celebrate the food, heritage, music and entertainment of Hawai’i at Flying Leap’s Estate Winery on November 3rd. Enjoy a traditional luau feast and a spectacular score of entertainment in the heart of Arizona wine country this Fall. 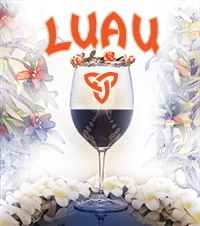 Flying Leap is hosting an authentic Hawaiian luau on Saturday, November 3rd from 5-9P. Upon entry, our hula dancers will welcome you with a lei necklace of fresh orchid flowers, and we will be serving our newest cocktail - the Flying Leap Mai Tai, as well as a selection of our wines throughout the evening. Enjoy a true Hawaiian feast, and relax as we take our guests on an extraordinary cultural journey through the South Pacific islands. Feast on whole Kalua Pua’a (roast pork), seasoned to perfection with Arizona Rub and slow-cooked for an entire day in a traditional hand-dug Imu (underground steam oven). Additional menu items include roasted sweet potato, taro-root rolls, fresh salad greens with ginger dressing and fresh Poke flown in from San Diego. Enjoy ample portions of Haupia (cubes of sweet coconut custard), Banana Guava Pie and sweet Poi Mochi cakes. Enjoy a Flying Leap Mai Tai, a twist on the Polynesian favorite that uses Flying Leap’s aged-brandy in place of rum, and our Arancello Orange Liqueur in place Orange Curaçao. 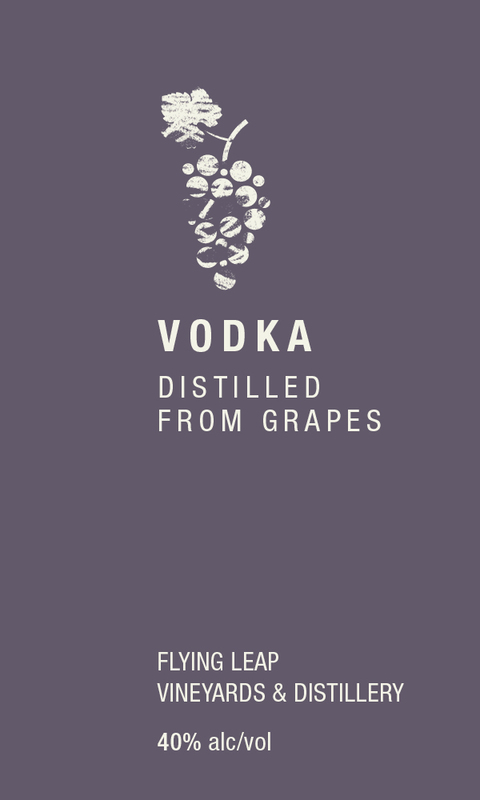 We will also be pouring classic martinis using our vodka, which we distill from our wine grapes. We are bringing in the finest in authentic Hawaiian music and entertainment, including a 3-piece band playing an array of traditional Hawaiian folk music. After the meal, we present our guests with a visual and musical trip through the South Pacific Islands with an accomplished cast of performers presenting the cultural music and dances of Hawaii, Tahiti, New Zealand and Samoa. Our show features exhilarating fire dancing, traditional Polynesian music, and a talented cast of exotic Polynesian dancers. This high energy performance transcends a typical Polynesian show and promises to be an unforgettable and mesmerizing experience like no other. Tickets: Regular price $149.95, early bird pricing until midnight, October 6th, 2018 is $134.95, Flying Leap Wine Club member price is $119.95. Blood Moon and Total Lunar Eclipse! Join us at our winery estate in Elgin, AZ from 5:30-10:00PM on Sunday, Jan. 20th for Astronomy Night and a Full Lunar eclipse of the “Wolf Moon”. Enjoy a guided narration of the night sky from former Kitt Peak Guide, and local astronomer, Chuck Dugan as we view the night sky through Binoculars, and 8” and 11” telescopes. Your ticket includes a BBQ meal and glass of wine from our tasting bar. We'll have our outdoor fireplace roaring, but be sure to dress warmly. On the menu: BBQ! Your choice of Beef, Pork or Chicken BBQ sandwich with your choice of two of the following sides: Chips, Texas Beans, Potato Salad or Cole Slaw. Sweet or Spicy BBQ Sauce on the side. 6pm to 7pm: Chuck will be Demonstrating for guests how the Lunar Eclipse works. It is an active activity that they can take part in! 7:30pm to 8:30pm: We’ll be looking at the moon through all our instruments, and some other bright stars in the sky, as PRELIMINART eclipse is going on. 8:30pm to 9pm: Chuck will offer the Lunar Eclipse Demonstration again, as we prepare for TOTALITY. 9:30pm to 10pm: As TOTALITY begins, we’ll watch visually and with instruments. We’ll also be able to view a couple FAINTER objects during FULL ECLIPSE. Prepare to be amazed as you soak in the beautiful sights of our solar system and our galaxy through Binoculars, an 8 inch and an 11 inch telescope! Note that many celestial objects can be viewed better through binoculars than telescopes! Don't forget to dress warmly!! It get's COLD in Sonoita/Elgin in January! Original - Taste the Southwest! 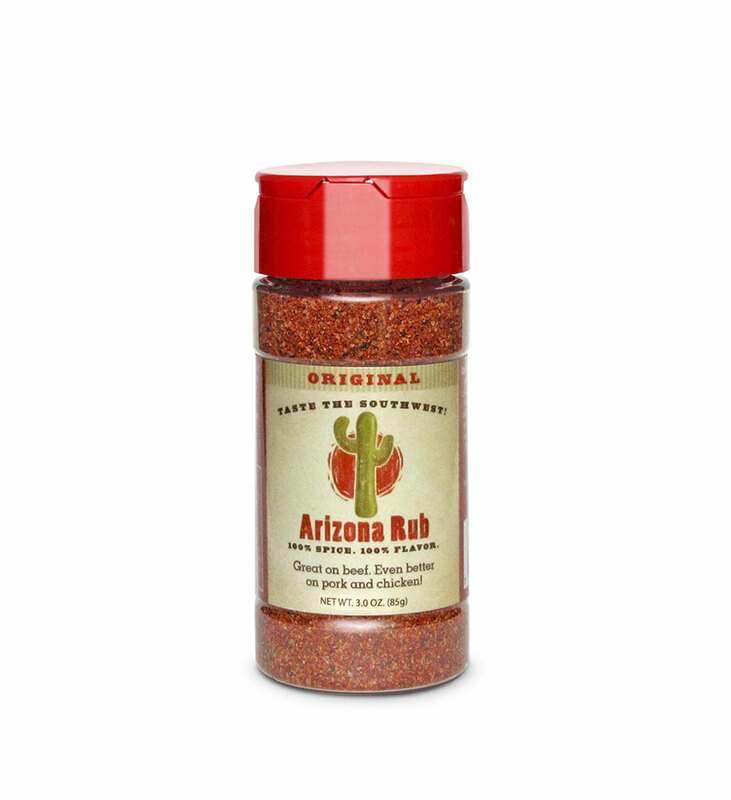 Original Rub adds wonderful flavor to ribs, roasts, steaks, chops, chicken, grilled vegetables and potatoes without adding heat. All natural and made with only the highest quality spices—including pure sea salt—Arizona Rub is ideal for adding flavor to whatever you’ve got on the grill, stovetop or in the oven. Pistol Whip - It's Packin' Heat! 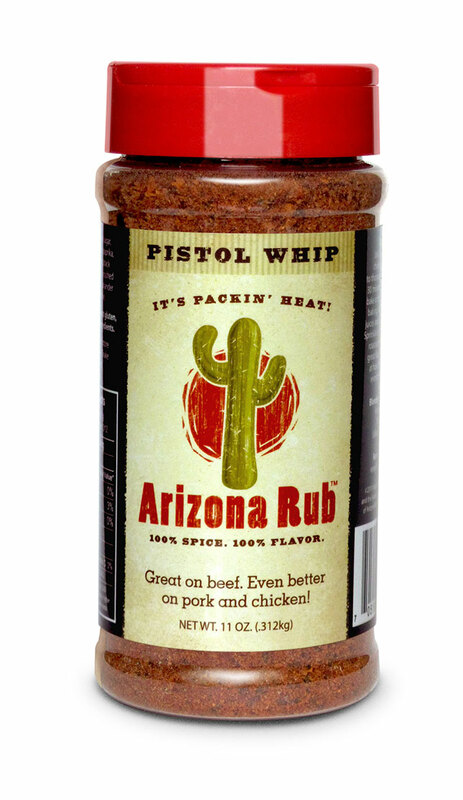 Arizona Pistol Whip Rub gives you the great heat of habanero plus a distinctive full-bodied flavor that’s guaranteed to be a hit. 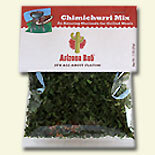 Made with a unique blend of aromatic chili powders, all natural spices and pure sea salt, it adds the taste of Arizona to steaks, chops, chicken, grilled vegetables, potatoes, soups and sauces. Rattlesnake - It's Got Bite! When you want to kick up the heat, Arizona Rattlesnake Rub has a bite you’ll love. With tremendous flavor as well as the perfect amount of heat it’s ideal for adding that special zing to whatever you’re cooking. Great on steaks, chops, chicken, roasts, grilled vegetables Arizona Rubs are all natural and made with only the highest quality spices including pure sea salt. This one’s for the garlic lovers out there. 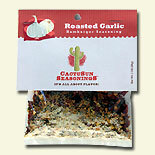 Mix with 1.5 lbs ground beef to make burgers with great roasted garlic flavor. Per Person Surcharge for Flying Leap Wines and Seminars during the April, 2019 Holland America Cruise. Must purchase 1 surcharge per person prior to 15 January, 2019 to be included in Flying Leap Events during the Cruise.